That's great considering there are Saudi villages that still have no electricity or running water. Disneyland Paris, the theme park which is 10 percent-owned by Saudi Prince Alwaleed bin Talal Al Saud, has struck a deal with Qatar’s Regency Travel & Tours in order to increase the number of Gulf visitors to the French attraction, it was reported. “There is a huge demand for Disneyland Paris from this part of the world,” Regency Travel & Tours CEO Tareq Abdullatif Taha was quoted as saying by Gulf Times. 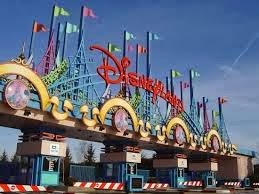 The agreement was signed during a press conference in Doha between Regency and Disney Destinations International (DDI). 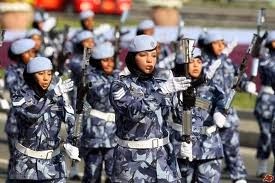 Qatar is considering allowing women to enlist in its armed forces, commander of the country’s air force and head of national service has said, according to local media. However, women would not be allowed to go into combat and would be restricted to security organisations and given social, cultural and medical roles, Major General Mubarak Mohammad Al Kumait Al Khayarin said at the launch of compulsory military service for men. Qatar announced last year compulsory military service for male citizens aged 18 to 35. 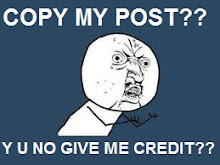 Graduates must serve three months and non-graduates four months. Up to 2500 university and high school graduates will be included in the first intake, to begin training on April 1. Training will include general military skills as well as lectures on religion, culture, civil defence, ambulance, the environment and preventive measures. The UAE also recently announced compulsory military service for men and voluntary service for women aged 18 to 30. 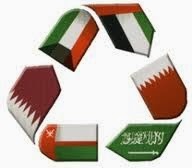 I thought Kuwait was going to implement the compulsory service as well? A US reality TV chef has revealed he was paid to fly to Bahrain to bake cakes for a party organised by a wealthy local resident and the experience has inspired him to expand his bakery business to the Middle East. 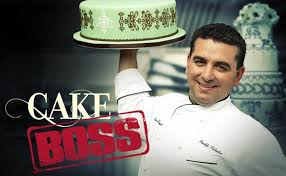 Buddy Valastro is the star of Cake Boss, a US reality television series which goes behind the scenes of the Italian-American family’s baking empire in New Jersey. The show airs on The Discovery Channel’s Fatafeat network in the Middle East and it proved so popular with one Bahrain-based businessman was such a big fan that he contacted Valastro and hired him to fly to the Gulf state to bake cakes for an exclusive party. If he decides to open I will finally be able to get one of his cakes!